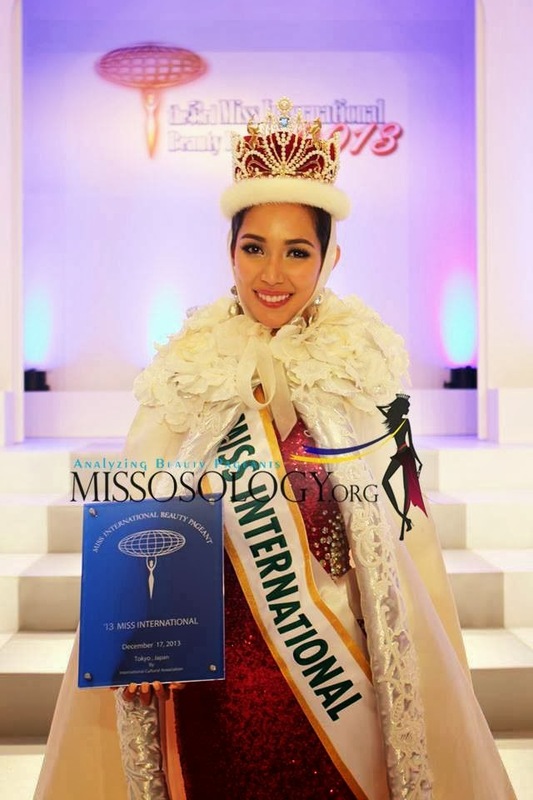 Miss Philippines Bea Rose Santiago was crowned Miss International 2013 besting the other 66 contestants. On its 53rd year, the Miss International beauty pageant was held at the Shinagawa Prince Hotel Hall in Tokyo, Japan on December 17, 2013 (Tuesday). Miss Netherlands Nathalie den Dekker clinched the first runner-up spot, while Miss New Zealand Casey Radley won second runner-up. 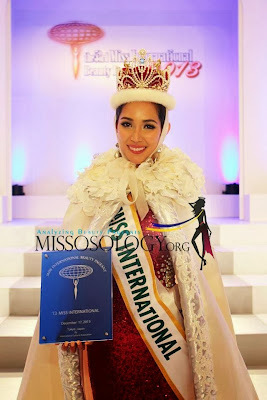 This is Philippines' 5th Miss International crown. The other 4 Filipinos who won the illustrious crown were: Gemma Cruz (1964), Aurora Pijuan (1970), Melanie Marquez (1979), and Precious Lara Quigaman (2005). The two other countries who finished in the Top 5 were Colombia and Hungary. "The whole world saw how my country the Philippines suffered. The agony of my people was felt. But, one by one, country to country came to help. I would like to thank all the nations that helped my country. In our darkest hours you have opened my eyes and my heart on how important it is if we all just support each other. If I become Miss International, I will uphold international camaraderie to sustain the spirit for sympathy and to continually share the message of hope. I believe now that whatever calamity may come to us, as so long as we have each other, there will be hope."